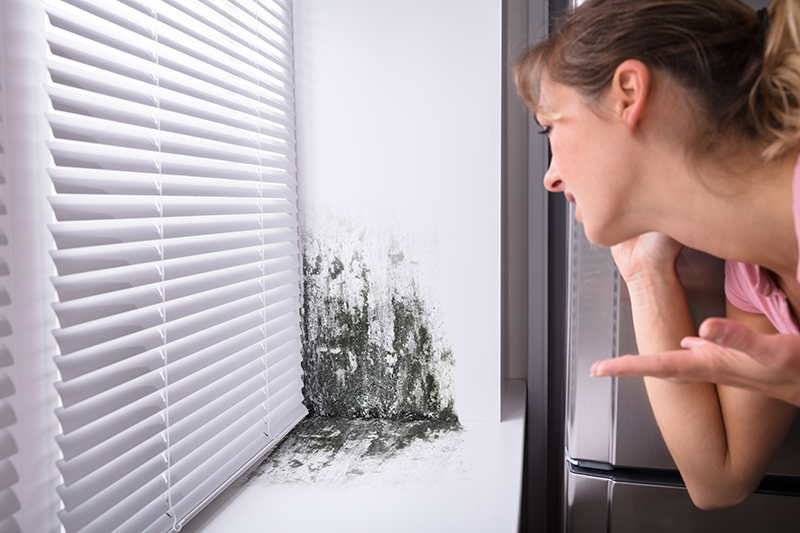 One third to one half of all structures have damp conditions that may encourage development of pollutants such as molds. Builders who don’t properly manage moisture are asking for trouble. Water intrusion can damage exterior paint and cladding, cause structural failure, foster mold, rot and insect infestation — and lead to costly lawsuits. And yet, one third to one half of all structures have damp conditions that may encourage development of pollutants such as molds, which can cause allergic reactions — including asthma, according to the Environmental Protection Agency. That may seem surprising given the growing body of building products and systems, which make it easier to properly manage moisture. But the EPA statistic points to a larger problem many builders have when it comes to moisture management: choosing the right housewrap for their project. In particular, drainable housewraps incorporate both a water resistive layer and a drainage gap that helps water drain from behind the cladding at a faster rate. The newest drainable wraps can be as much as 100 times more effective at removing bulk water from the wall than traditional wraps. But unless these systems are properly installed, they can allow water in and may even encourage mold to grow. Here are five questions to ask when choosing and installing drainable wraps. 1. Does it meet the code? The International Codes Council’s (ICC) acceptance criteria, ICC-ES AC38, establishes guidelines for evaluation of drainable wraps. The key test to consider is the ASTM E2273 drainage efficiency test. For this test, water is run through an approved test wall assembly to determine what percentage of the water is drained away in 70 minutes. Look for drainable wraps with at least 95 percent drainage efficiency. 2. Is it omnidirectional? Some drainable wraps must be installed in a certain direction to work properly. But omnidirectional wraps work no matter what direction they’re installed, which makes them virtually foolproof. This feature is especially handy when working around odd shapes or bump outs and will usually result in less total material usage. 3. What’s the climate? The Building Enclosure Management Institute recommends that areas with 20 inches or above in annual rainfall use a drainable wrap. Areas with 40 inches or above should use a full rain screen system. The use of omnidirectional wraps in this case allows for enough cross-ventilation to help drain and dry rain screen material, which is especially important when using wood products. 4. How are seams taped? Properly taped seams protect the integrity of the shingle lapping until cladding can be installed. But because drainable wraps contain gaps, it’s more difficult to get a tight seal. Double-sided seam tape applied on one part of the wrap with another course overlapping prevents moisture — and meets long standing code requirements for shingle style installation. 5. How are you wrapping around windows? Window installations should follow ASTM E2112, which offers a guide for how to wrap window openings and install flashing. Using drainable wraps in combination with flashing adds even more insurance against water damage from this common failure point. But because drainable wraps have a drainage plane that’s about 1.5 mm, they require a thicker self-adhering flashing tape. Choose a tape that is at least 20 to 25 mils thick to ensure the drainage plane is properly sealed. For more information on choosing and installing drainable wraps go to http://www.tamlyn.com.